The Hyundai Santro has been well received by critics and customers alike. 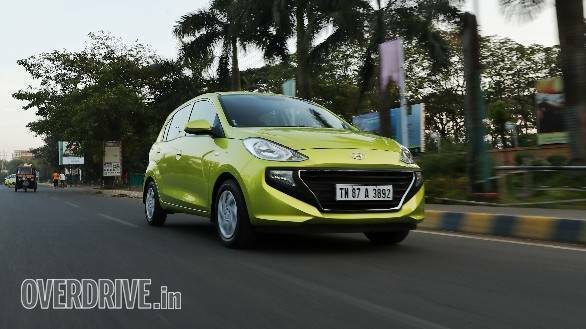 One of Hyundai India's most important launches in sometime, the entry-level hatchback has now garnered over 30,000 bookings since it was made available to the public a few months back. The car now has a waiting period of over four months depending on specification chosen. To counter this, the carmaker is looking to increase production and reach a sales target of 10,000 units this month. The new Santro is powered by a heavily reworked version of the 1.1-litre, four-cylinder Epsilon petrol engine that powered the last Santro Xing and offers 69PS and 99Nm in its current guise. 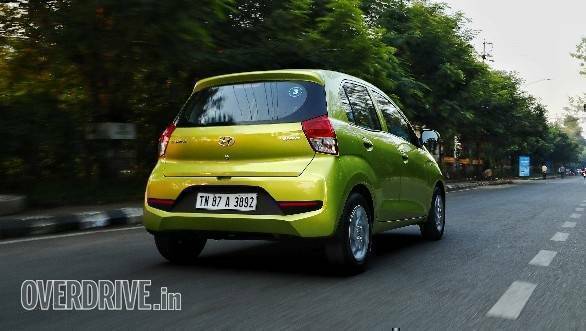 The new Santro also debuts AMT technology for Hyundai and is available with the option of a five-speed AMT, apart from a five-speed manual gearbox. You also have the option of going in for a factory-fitted CNG kit which brings outputs down to 58PS and 84Nm. Claimed top speed is 150kmph while claimed fuel efficiency is 20.3kmpl. Suspension duties are taken care of by McPherson struts upfront and torsion beams at the rear. Lower variants run on 13 inch wheels, while higher ones run on 14 inch rims. More importantly, the new Santro is based on an all-new platform that has helped Hyundai make the car larger in size as compared to the original, which translates to more space inside. In fact, legroom, kneeroom, headroom and shoulder room in the new Santro are among the highest in class. 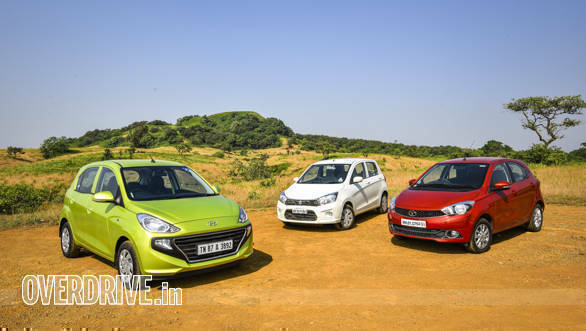 The new Hyundai Santro competes against names like the Tata Tiago and Maruti Suzuki Celerio, as also the Maruti Suzuki Wagon R and thus sits above the Hyundai Eon that it replaces in the Korean manufacturer's product line-up. 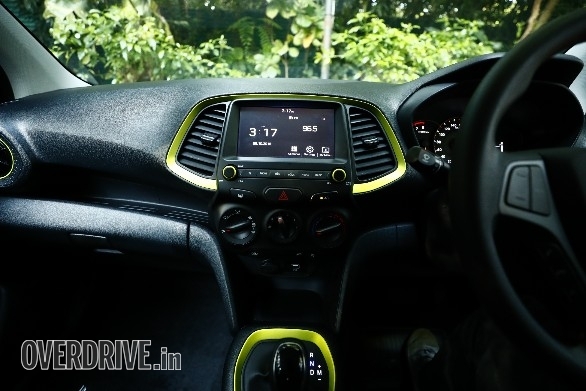 On the equipment front the new Hyundai Santro gets a touchscreen audio system integrating Apple Carplay and Android Auto connectivity on the top variant (Asta), as also a reverse camera. There's rear air-conditioning vents as well, a segment first. Safety features include ABS and driver's airbag as standard, while the higher variants are equipped with front passenger airbags as well.